Polaris Fashion Place is a premier shopping, dining and entertainment destination in Columbus, Ohio. 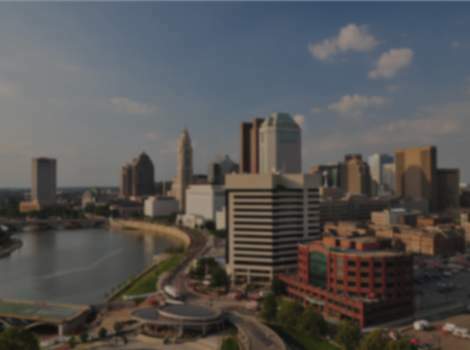 Just off of I-71, north of downtown Columbus and convenient to urban and suburban areas, Polaris is an easy drive from just about any location in Central Ohio. Offering over 150 retailers including anchors like Sak's Fifth Avenue, Macy’s and Von Maur and specialty retailers like Madewell, Swarovski, lululemon, J. Crew and The Art of Shaving, this indoor mall with an outdoor lifestyle center has something for everyone! After a day of shopping, dine at first-class restaurants like Benihana, Cameron Mitchell’s Molly Woo’s, Cantina Loreto, and BRIO Tuscan Grille. Afterwards, pamper yourself at several salons located throughout the mall. Looking to meet up with friends? Stop by Dave & Buster’s, The Pub and The Brass Tap for a good time. For an extra experience, review our list of events on our website at www.PolarisFahionPlace.com. Polaris Fashion Place is also fun for the entire family! Bring the kids along to enjoy the soft sculpture play area and explore a number of kids’ stores and their events including The Disney Store, Pottery Barn Kids and Barnes & Noble. Polaris Fashion Place has just what you need, for every occasion. Dog Friendly Comments: Dogs are allowed to go to and from JCPenney and Sears Photo as well as Moochie Company. Only service dogs are allowed to walk with their owners in the common area of the mall.